We have taken a long time in writing this post for our readers. 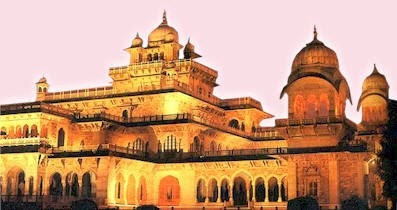 Being our place of origination, Jaipur deserves special attention in our analysis. Property market of Jaipur has become an unsolved puzzle for real estate experts now-a-days. Let’s see how. Right now the property market is touching skies in the capital city of Rajasthan. Land, although available in plenty, is becoming scarce partially due to the increasing investors’ population and partially due to the artificial scarcity created by the realty giants. Once famous for its beautiful bungalows & villas, Jaipur is rapidly getting covered by the high-rise buildings and apartments. 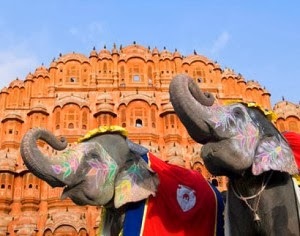 The beautiful and calm city-culture of Jaipur is swiftly getting replaced with fast-paced metro-culture. Last 10 years have proven to be a game-changer for the city of Jaipur. In this post we will try to discuss some of these aspects. All these coupled with various other factors like increased employment opportunities have paved the way for Jaipur Real Estate to experience an amoebic growth in last few years. Creation of a Realty BUBBLE? If someone tries to compare the Jaipur property prices of 2005 & 2014, he will undoubtedly allege Jaipur of being covered by the property bubble. But is it the reality? – The answer according to us is – NO. We couldn’t see any formation of any asset bubble or obnoxious growth of land prices. We agree that the current market rates are very high, but we believe that they are still not overpriced; rather it is their potential price level. The kind of infrastructural facilities and standard of living that Jaipur offers, justifies its property price-levels. After all one can’t ask for all the awesome infrastructures and yet wish to keep paying the same prices for land forever! Also, the development of inner and outer ring-roads around Jaipur has eased the commutation issues and increased the accessibility of all the corners of the city. Where will the land prices move in future? Although a tough-nut to crack, we trust that the land prices will continue seeing the sky route, especially after the elections which have resulted in the change in the government. History is evident that with this government, the land prices boosts automatically in Jaipur! Although with our analysis and our intuitions we can say that Jaipur property market will boom further in coming future, we request our readers to so their own research before making any investments in this market.